At the upper end of the river cruise spectrum, Tauck provides an all-inclusive luxury experience on Europe's waterways. Born out of Tauck Travel, which also provides land tours around the world, Tauck's approach to river cruising is similarly comprehensive to its land trips: there's a cruise director and three Tauck guides, special events held onshore in the evening and "lagniappe" (i.e. surprise) moments throughout the tours. Tauck has nine riverboats, owned and operated by Scylla, a Swiss-owned company; while the only Tauck employees are the cruise director and guides, Tauck dictates the experience. Its four newer Inspiration-class vessels carry 130 passengers -- the lowest number of passengers for a ship of its size. (Most new river cruise ships in Europe are a standard 443 feet, and carry up closer to 190 passengers.) Starting in 2017, the line is revamping its five older Jewel-class ships, which are smaller than the Inspiration vessels, reducing the capacity from 118 to 98. Once that's done, Tauck will no longer distinguish ships by "class." The line sails on the major European rivers: Rhine, Main, Danube, Rhone, Seine and Moselle. Not having an onboard bill at the end of your cruise. Unless you buy something in the shop or get a (reasonably priced, by spa standards) salon treatment or massage, your balance will be zero. Tauck's fares cover all beverages, including wine, beer and spirits, all day long and at meals; at least one shore excursion per day; alternative dining options; bikes to use in port; free Wi-Fi; airport transfers and gratuities. With open seating in the main dining room and a true alternative restaurant -- Arthur's -- where you can get a wide variety of made-to-order items, Tauck makes it really easy to eat what you want, when you want. In addition, the line gives you money to buy lunch at a local cafe during long port excursions, which no one else in the river cruise industry does. 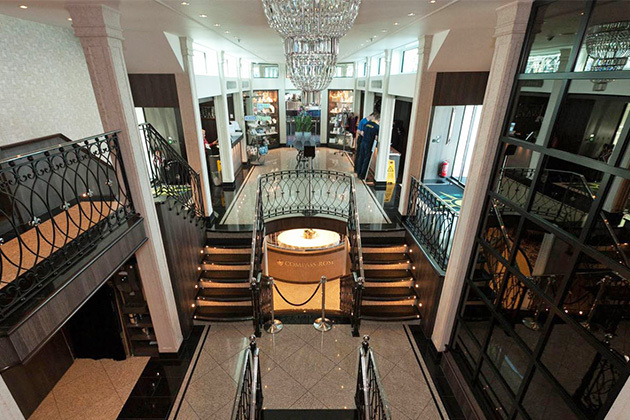 Some cruise lines interpret luxury as over-the-top materials that conjure images of an English country house, while others confuse it with formality. At Tauck, the vibe is neither of the two. 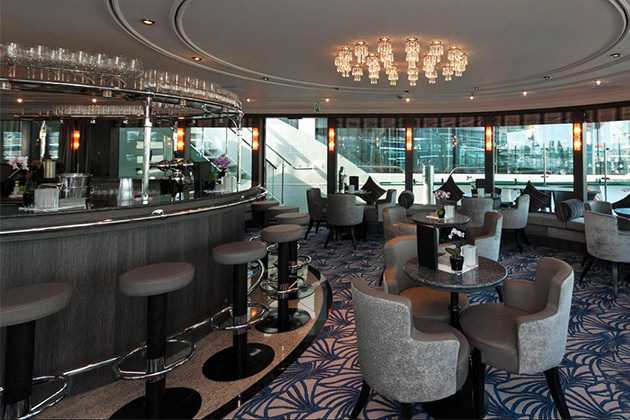 Instead, the ships are quietly upscale and elegant with tasteful chandeliers and ironwork in the lobby, neutral colors in the cabins and ceiling molding in the lounge (along with the best bar napkins we've ever seen at sea). Tauck's ships are the same size as those run by other cruise lines. (In Europe, the length of vessels is mostly dictated by the lock system.) Yet Tauck carries far fewer passengers than its competitors, with 130 compared to 150 or 190. The lower numbers do make a difference: lounges and restaurants feel less crowded, the cruise director is more available and shore excursions have smaller groups. On Tauck shore excursions, the tour directors are right there with you -- changing batteries for QuietVoxes (a personal hearing device that makes listening to the tour guide much easier), making lunch or dinner recommendations in town or pointing out the best shops. If you're the type of person who worries a bit about European travel, yet still wants some independence, Tauck offers the right mix. 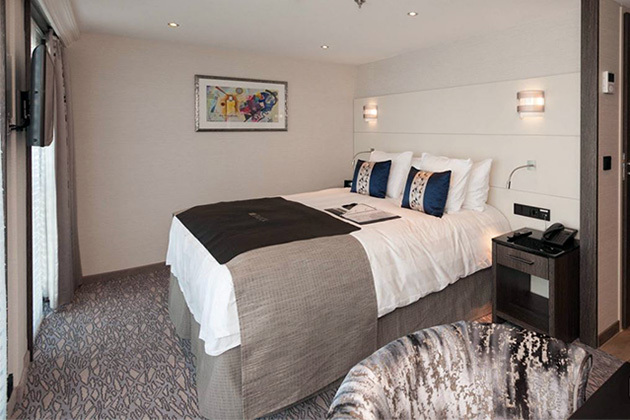 There's a price for all those inclusions -- and Tauck's cost is definitely at the high end of river cruising. All alcoholic drinks are available all the time on Tauck, plus the line often has wine tastings and excursions that focus on local beer and spirits. If you don't drink, you might feel resentful at paying for other people's (non-existent) bar bill. Being totally casual, all the time. Tauck is less dressy than similar ocean cruises, but there are a handful of events such as the Welcome Dinner, a Gala Dinner and special events offshore where a jacket for men and a nice dress for women is appropriate. If the idea of making an effort to dress doesn't appeal to you on such a port-intensive vacation, you might want to look at a line that doesn't have these types of events.